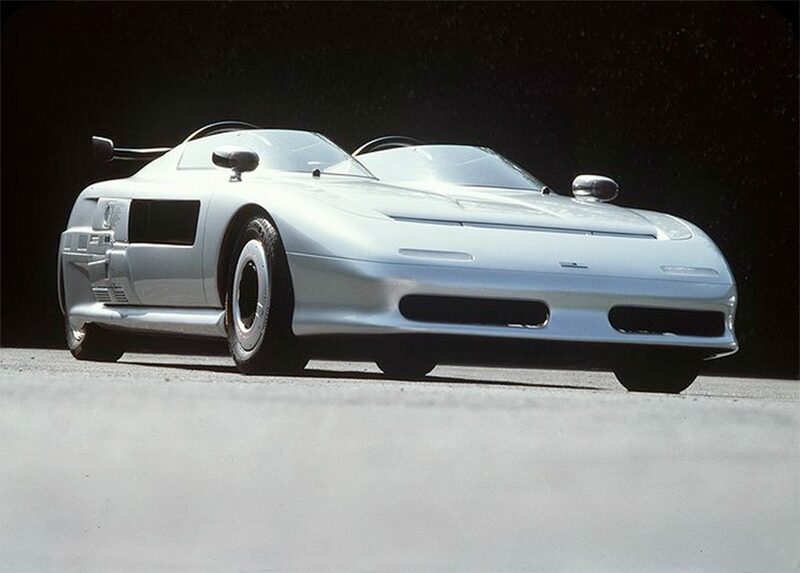 Until now, we’ve never featured a concept car, but today we’ll be considering the Italdesign Aztec, attributed to the master himself, Mr. Giorgetto Giugiaro. Concept cars live in a different world from production cars because rather than having to conform to strict packages or the public’s immediate needs and desires, concepts serve as showcases for future technology. They are used to gauge the public’s opinion and in many ways, they embody both the very best and worst of the automotive world in their aspirations, cost, and sometimes absurdity. 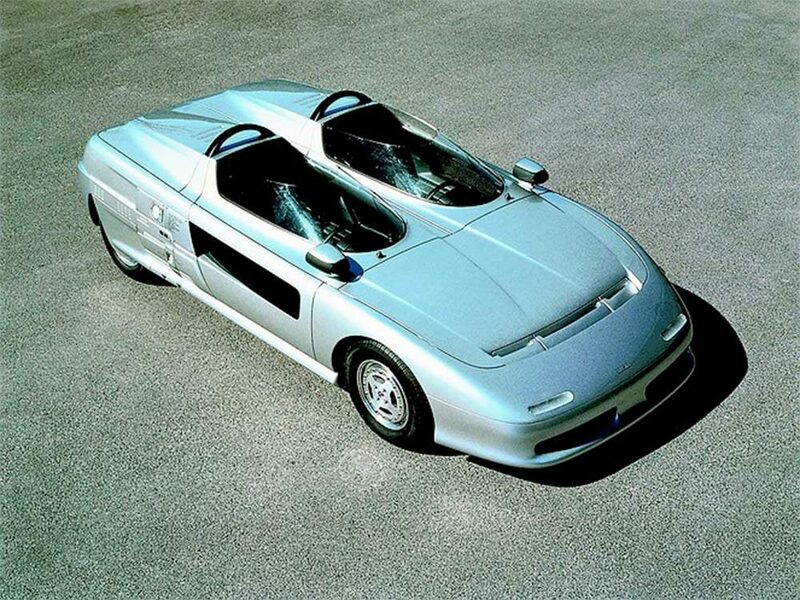 The Italdesign Aztec, introduced at the Torino Motor Show in 1989, is an interesting case however, because it was actually put into limited production. Fifty roadgoing models were initially planned and at least eighteen were built, but the exact number seems a source of conflict. 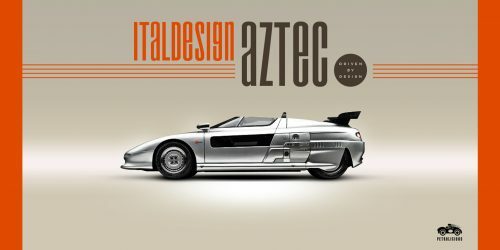 Regardless, in some respects (connectivity and digital communication), Giugiaro was peeking pretty far into the future with the Aztec. Upon seeing one, the first thing you notice is the split passenger compartment, and the passenger even gets a wheel like the driver’s steering wheel (it is actually a control console, not a true steering wheel)! Additionally, due to the separated compartments, communication was via electronic connection rather than simply verbal. Now one may assume that the passenger’s steering wheel/control console was probably to adjust suspension damping levels or perhaps engine timing (all of which are now handled by cars’ computers), but it would be a good idea for today’s cars to give control of nav functions, social media, and entertainment to the passenger. 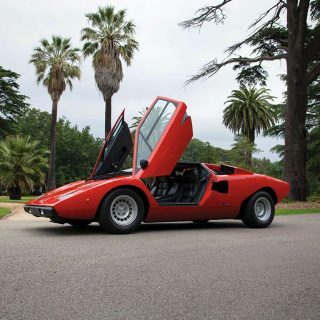 The car was powered by an Audi five-cylinder engine and used Lancia’s all-wheel drive system. But the proportion is unrelated to either platform. 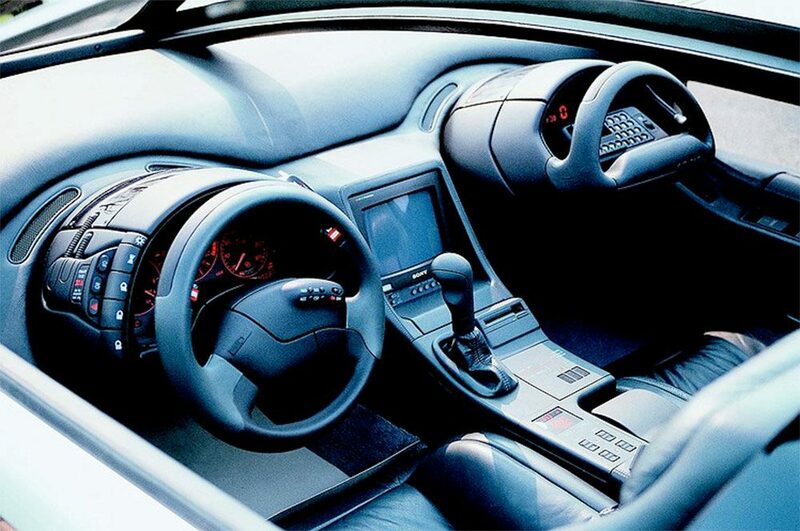 Instead it uses a fairly traditional mid-engined layout, already well-developed fifteen years earlier. Its surfacing, too, is very much of the era. It debuted when the entire auto industry was marching solidly from the more angular, chiseled shapes of the 1970s and ‘80s into the organic [soapbar] forms of the ‘90s. But somewhere in between surface and detail there are exceptions to the Aztec’s smooth surfaces. Consider the surface covering much of the rear wheel—the negative space (where the rear wheel is exposed) is a bit awkward. Still, the bone-line that forms the rocker and terminates in the wheel spat keeps your eye moving to the back of the car, achieving a smooth effect despite the negative space and then brings your eye back up to the shoulder line (via the spat’s vertical uptick) that then moves your eye forward. 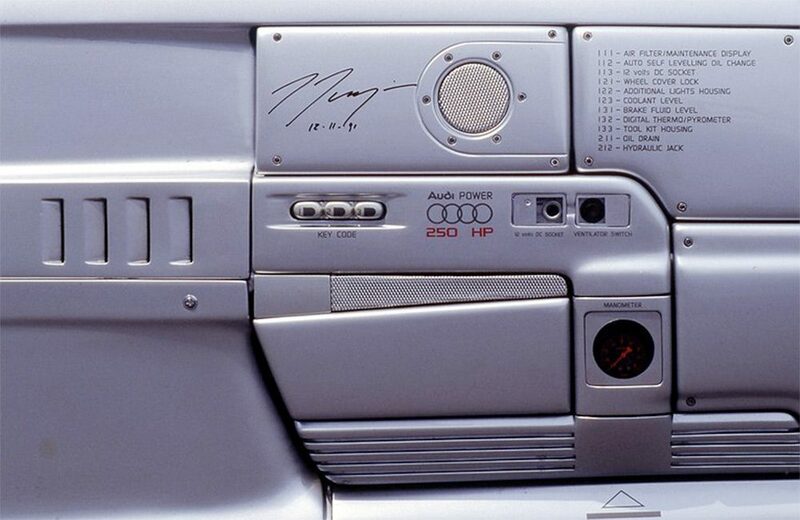 And it is the details that really make this Italdesign concept stand out. The car was very clearly influenced by space technology but rather than pulling off the sleekness that was a hallmark of ‘90s organic styling, those sci-fi details slow down the design and contradict the intended visual speed. The panel just fore of the rear wheels looks a bit fussy in particular. It supposedly allows drivers to input digits to change settings (hopefully while parked) and contains various accessories. 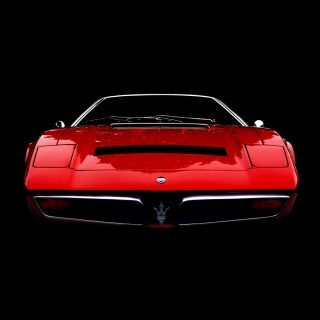 But these nitpicky details do have a benefit too—they create a focal point (not dissimilar to the Lamborghini Countach’s various intakes just in front of the engine). 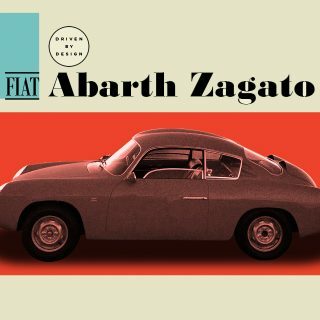 On Italdesign’s site it says that the Aztec “embodied the desire for a sculpted rather than a designed shape” [bold is theirs]. I can only speculate about the precise meaning as sculpture and automotive design are inseparable, but I take it to mean that the Aztec is intended to look natural, as if carved by the wind, rather than intentional. Of course, we all know that nothing in design is unintentional. However, this statement is particularly ironic considering the overly aggressive graphic detailing both inside and outside the car. Is the car successful? Overall, yes, it carries two people and their luggage in relative comfort while looking sporty and quick. But today, it looks like an old-timey vision of the future, rather than truly modern. If you feel strongly about the Aztec click here to pick one up for yourself. No comment on the price. 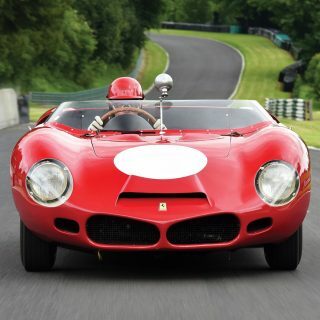 Journal How Much Is This Le Mans Test Mule Ferrari 268 SP Worth? no mention of this car’s film star status ? it had a pivotal role in roger corman’s (the last film he directed) 1990 film frankenstein unbound (a loose adaptation of brian aldiss’ book of the same name). I saw one in Brussels at the Auto World Museum! 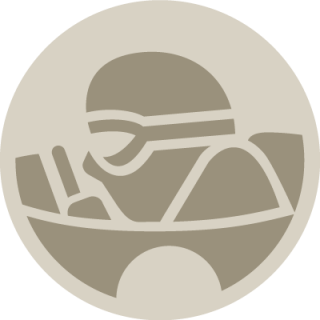 At mouse roll-over, there is a text that appears on every picture of Italdesign Aztec from the article: “Driven by design: The incomparable Lancia Stratos”. It is wrong, but ironically true. Yup, old “alt” tag was left in, thanks for spotting it. Fixed. I agree, the car is everything but beautiful, but I love the eBay description text! Full discloser … I’m a big fan of GG … but this is probably the very worst of all the ITAL designed cars … show / prototype or production ! Had I not been told what it was and just shown a picture, I would have assumed it was a prop car from Back to the Future 2. It is interesting as a late 80’s idea of what the future looks like.